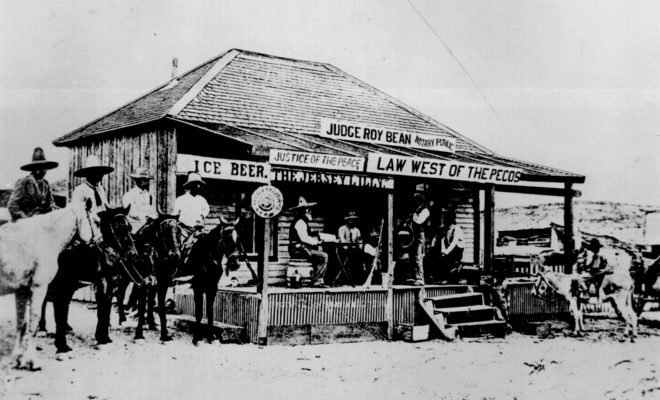 There have been many a tall tale told in Texas, but not much comes close to the ones that have been told about Judge Roy Bean. 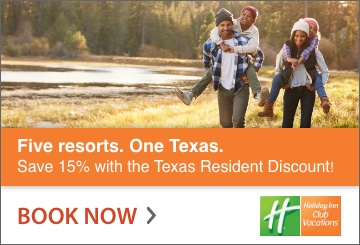 Phantly Roy Bean Jr. was considered unconventional, to say the least. 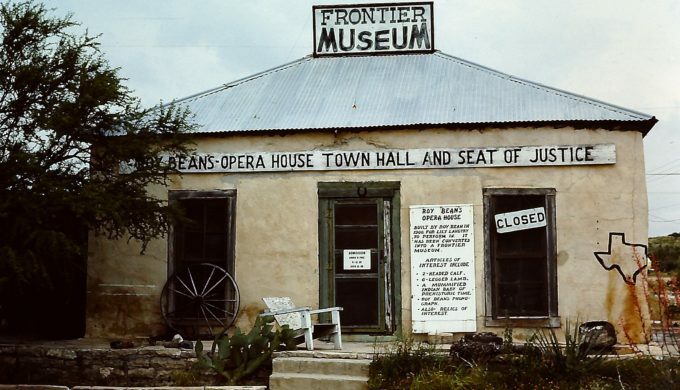 An eccentric saloon keeper and Justice of the Peace in Valverde County, he called himself “The Law West of the Pecos”, and although stories of his rulings grew into Hollywood history, his reputation as a hanging judge was a conflagration of rumors. He only sentenced two to hang in his entire career, and one of those individuals escaped. 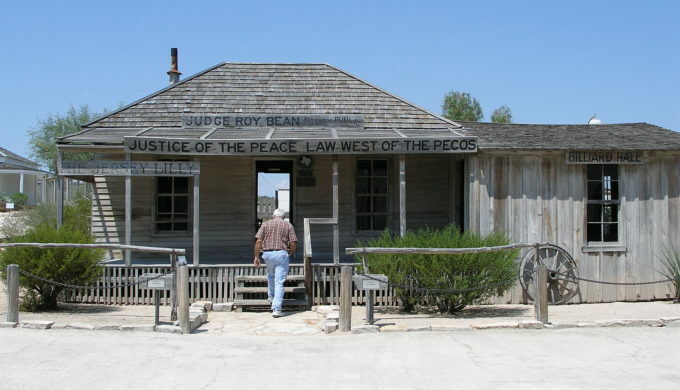 The staff at the Judge Roy Bean Visitor Center, located in Langtry along the Rio Grande, will set you straight regarding the most notorious justice of the peace in the Old West. Preserving the Jersey Lilly, the Judge’s courtroom/saloon (because they were one and the same), as well as his one-room Opera House which he constructed in honor of his unrequited love of English singer Lillian Langtry, the two make up a brilliant roadside stop along Highway 90. All possible documented facts about Bean are curated at the center, but those details notwithstanding, and based on the elements of his notorious life prior to becoming a JP, many Langtry visitors continue to believe the movie and television versions of his life and death. Despite the hail of bullets the Hollywood would have you believe he went down in, such is not the case. 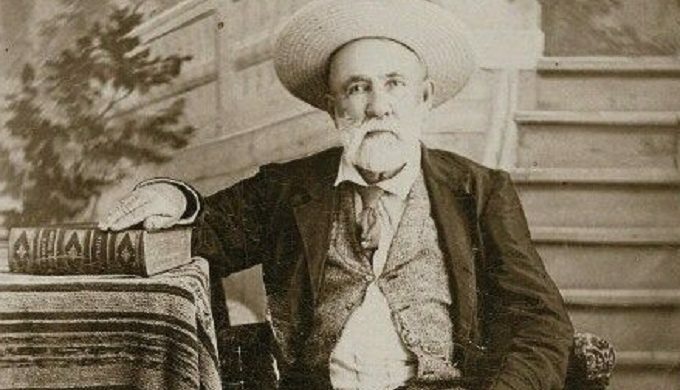 Judge Roy Bean died of natural causes in 1903, which is kind of an ironic sort of fizzling out in comparison to the blustery, quirky, and outspoken way he lived. His often-odd rulings flagrantly favored his lawmen and most definitely rubbed the public the wrong way. And since there was no appeal once he banged the gavel (or six-shooter in Bean’s case), whatever would be, would be. It was also said that buying a round of drinks for the judge and jury was a common punishment practice regarding minor offenses. ← Previous Story The Establishment of Port Arthur: By Design, by Spiritual Guidance, or by Happenstance?